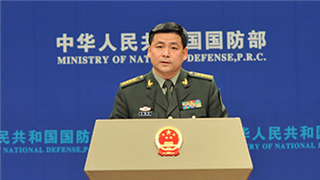 BEIJING, April 10 (ChinaMil) -- It was the natural right of China as a sovereign state to station troops and deploy necessary territory defense facilities on the relevant islands and reefs of the Nansha Islands, Senior Colonel Ren Guoqiang, spokesman for China's Ministry of National Defense, said in a written statement on Tuesday. 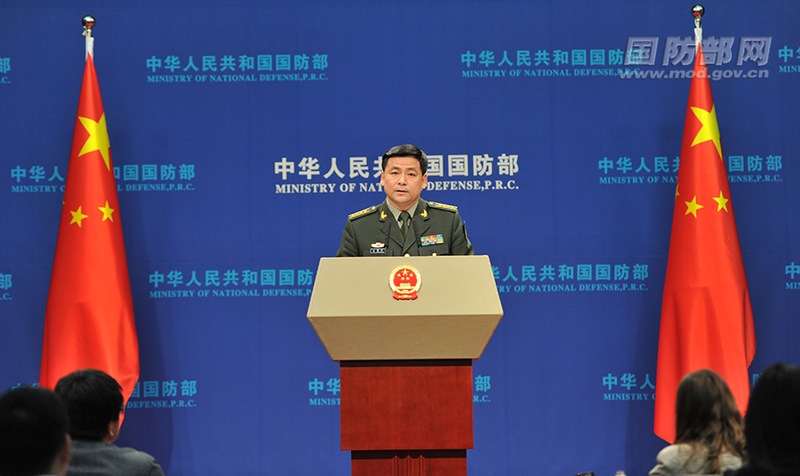 Ren Guoqiang made the remarks in response to the media reports that China had recently strengthened its equipment deployment on the islands and reefs of the Nansha Islands and it might be China's countermeasure against the US freedom of navigation operations in the South China Sea. "The Nansha Islands are China’s territory. It is the natural right of a sovereign state for China to station troops and deploy necessary territory defense facilities on the relevant islands and reefs of the Nansha Islands. It is conducive to safeguarding the state's sovereignty and security, ensuring the freedom and security of navigation channels in the South China Sea, and maintaining regional peace and stability. It is not directed against any country, " Ren Guoqiang said. "China will unswervingly follow the path of peaceful development, pursue a national defense policy that is defensive in nature and a military strategy of active defense, " Ren added.